Chief Tempesta originally started his law enforcement career post 9/11 with the NYPD. He relocated to Florida with his wife, following family to the Lady Lake area. Chief Tempesta has worked for the Lady Lake Police Department for the past 14 years being promoting through the ranks. 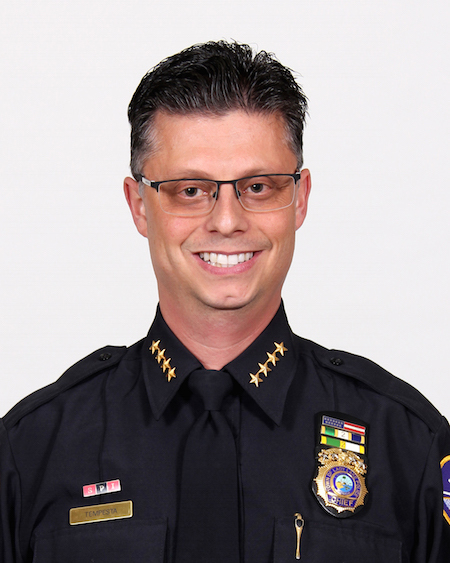 Chief Tempesta has a Bachelor’s degree in Marketing and will be completing his Masters in Criminal Justice this April. Chief Tempesta is a graduate of the University of Louisville- Southern Police Institute- 72nd Command Officer Development Course. He has also attended the 17th session of the Florida Executive Development Seminar (FEDS) course as part of the FBINAA-LEEDA.